LakeDance is a Great Lakes Watershed study, taught through the arts. Based in Evanston but relevant beyond, LakeDance has in-school and out-of-school components. ​LakeDance is an experiential Great Lakes study program. LakeDance facilitates school- based ecology units and out of school performance workshops. 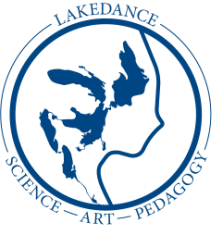 Bringing together students, teachers, environmental leaders and artists, LakeDance aims to create a locally relevant immersive experience in art and science. Mission: To offer watershed-relevant immersive educational experiences for Great Lakes youth using dance and the arts as tools for learning and outreach. Vision: To promote resilience among Great Lakes residents in a time of change. To inspire stewards who will ensure that Great Lakes resource management reflects our globe with accuracy and compassion.